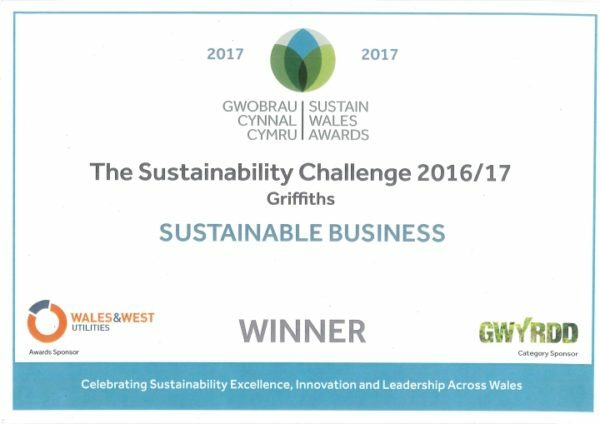 Griffiths were pleased to receive this prestigious award for its Sustainability Challenge at the 2017 Sustain Wales Awards event held at the Senedd in Cardiff Bay. This category recognises leading businesses who have demonstrated that adopting sustainability principles leads to business success. The Sustainability Challenge is our annual sustainable development action plan. 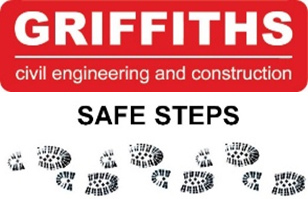 It sets annual objectives and targets under the four key headings of Health & Safety, Economy, Social & Culture, and Environment and consolidate and align corporate responsibility, environmental and community benefit initiatives with the seven goals of the Well-being of Future Generations Act. A copy of the Sustainability Challenge can be viewed and downloaded here which demonstrates our current objectives, targets and recent achievements.